Melbourne is well known for its diverse cuisine, with restaurants serving fare from all corners of the world scattered across the city. 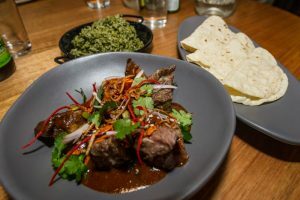 St Kilda has taken on a particular Latin American flavour which has locals out each night of the week sharing tapas, desserts and cocktails. Here are our favourite places in St Kilda to get together for a foodie fiesta. Head to Day of The Dead to nibble on a late dinner while checking our the bar’s extravagant interior, complete with large sugar skulls and splashes of red in every direction. The tapas menu is great for grazing, but it is the cocktail menu which is the bar’s pride and joy. Opt for a classic mojito or try out the tropical Bedswerver. 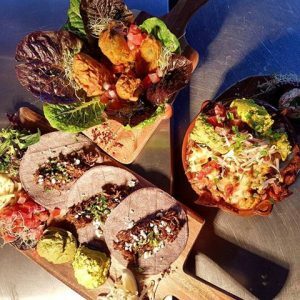 Acland St Cantina is a St Kilda institution, packed out on weekends by locals craving some quality tex-mex. Succulent meat is the restaurant’s specialty, serving up mouth-watering twice-cooked lamb ribs and delicious fried chicken. The night wouldn’t be complete without some sweet spiced churros and a Margarita or two from the bar. 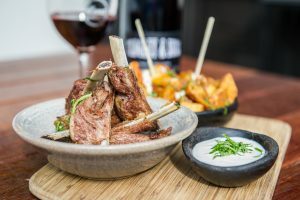 This Fitzroy Street restaurant and bar combines influences from Spain, Mexico and Latin America to create a tantalising fusion of flavours in every dish. The menu here is constantly being reinvented to offer new and exciting large meals and tapas, featuring lots and lots of seafood. United Kitchen’s bar also has an extensive beer and wine list, plus a selection of unique twists on a classic Margarita. 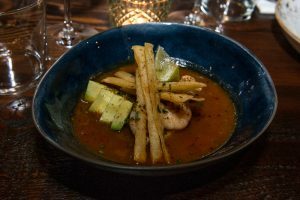 The inspiration for Lona comes from traditional Spanish cuisine, a far cry from the beaches of Mexico but with influence very much in the same vein. Lona is the perfect blend of restaurant and bar, serving Pinxtos as a main meal or snack to enjoy with a cocktail, in their large space illuminated by bright neon lights. As the name would suggest, this is the place to grab a burrito in St Kilda. The long burrito menu features beef, pork, fish, chicken or tofu mixed in with beans and a whole host of different salads and toppings, guaranteeing you’ll meet your Mexican match. This casual cantina also serves up our other Mexican favourites, including tacos, quesadillas and nachos. 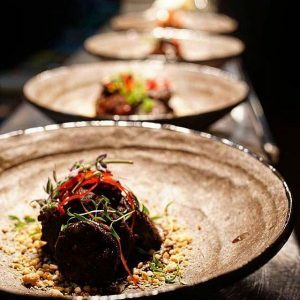 This Acland Street bar and restaurant specialises in share plates, maximising on taste and minimising food envy. In fitting with its name, the bar’s décor is reminiscent of a beehive and the walls of the restaurant are filled with impressive, customised art. On the menu is a fusion of exotic ingredients and the long cocktail list gives all the more reason to spend an evening with Pablo. 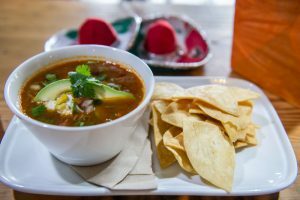 Set in a vibrant, lively space is Radio Mexico, serving up easy Mexican to the hungry masses. The casual restaurant honours home cooking, with the kitchen using the freshest ingredients to cook as much as possible from scratch. Radio Mexico offer a solid selection of tacos and the street style corn on the cob is a must for your first visit. 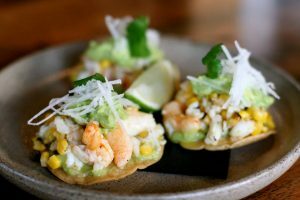 From tapas and burritos to churros and Mojitos, there’s plenty to enjoy in St Kilda if you’re craving some Latin American food. Mixing and matching is what it’s all about!